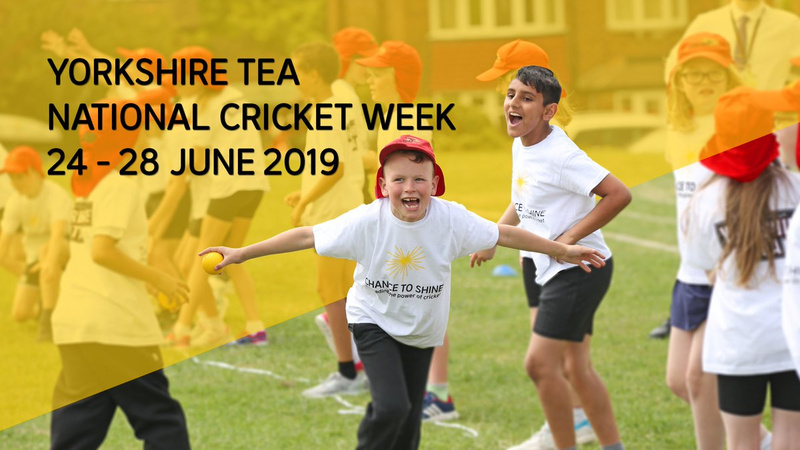 Schools all over the country enjoy a week of cricket-themed activity in both the classroom and playground during Yorkshire Tea National Cricket Week. It is a week when we all celebrate cricket in schools. Over 1,600 schools take part in this Chance to Shine event every year and turn their timetable over to cricket. Schools are provided with cross-curricular cricket lesson plans, from teaching coordinates of a cricket field in Maths to pinpointing cricket playing countries in Geography. In 2019, the Yorkshire Tea National Cricket Week will be Monday 24-Friday 28 June. More details to follow but keep that week free for a fantastic, inspirational week of cricket! Cricket East would love to hear your planned cricket activities during National Cricket Week. If you are planning an activity please let us know by emailing sally.church@cricketeast.co.uk. You can also visit the Chance to Shine website HERE.